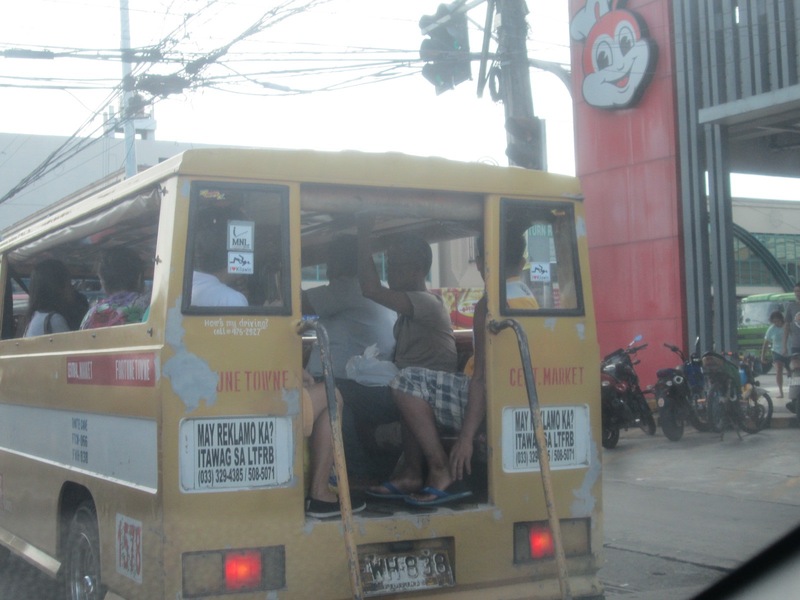 This jeepney has two of the same stickers on its rear windows and you won't believe what they are. There we go. Now you can see it all in full. 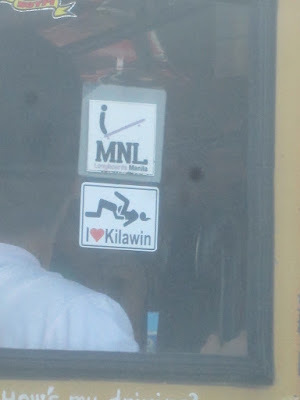 The driver or owner of this public utility vehicle has thought it a good idea to broadcast his love for kilawin which means seafood. Get it? (wink, wink, nudge, nudge!). How lovely for all to see. 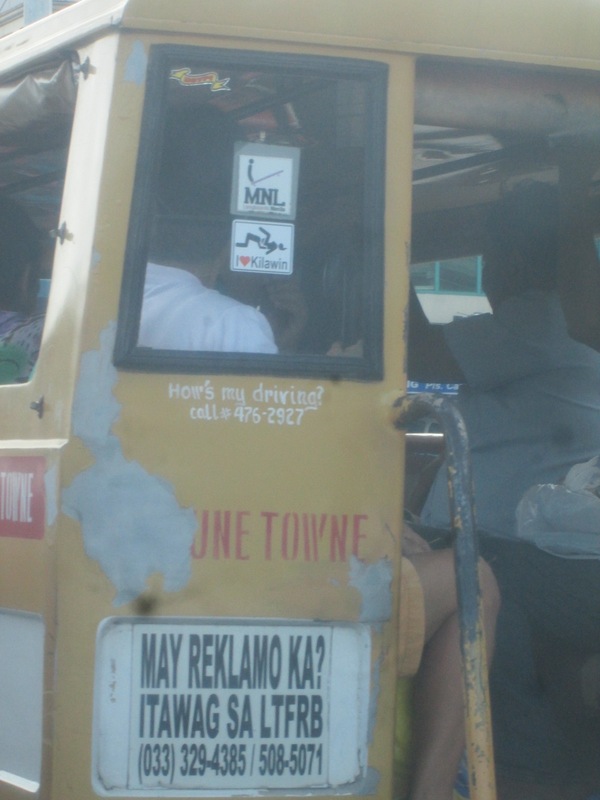 The absence of any art on the side of the jeepeny and the presence of two of these stickers on the rear windows indicates a total lack of thoughtfulness and decency on the part of the owner. What were they thinking? They weren't!